CT2542 -100% Polyester, 2.9oz. Wind and Water resist, solid color with cut and sew details. Polyester lined, side open pockets. Machine Washable. 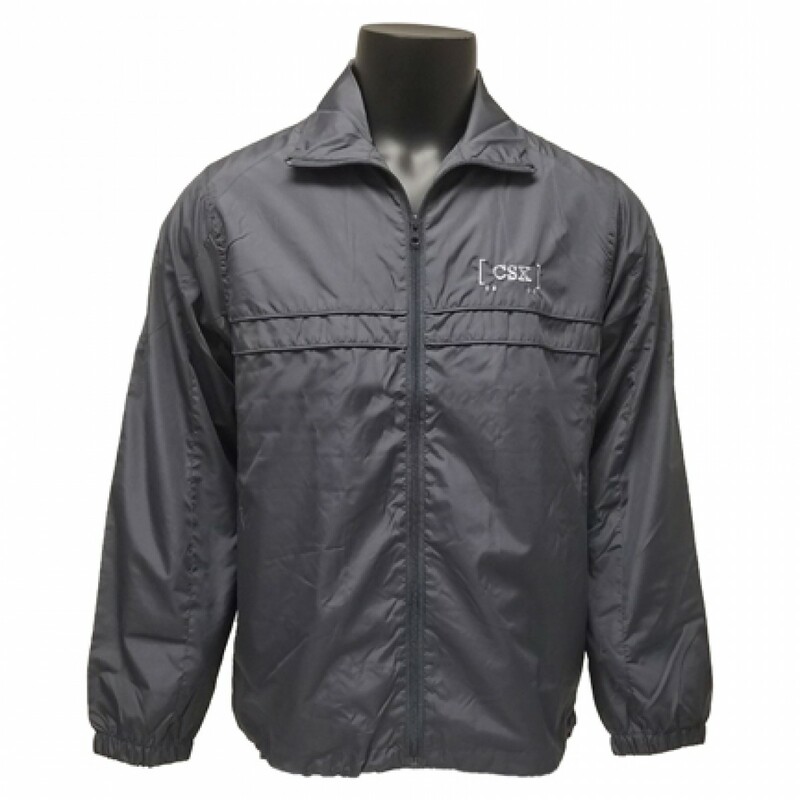 Graphite Gray with light gray CSX railcar logo embroidered on left chest.